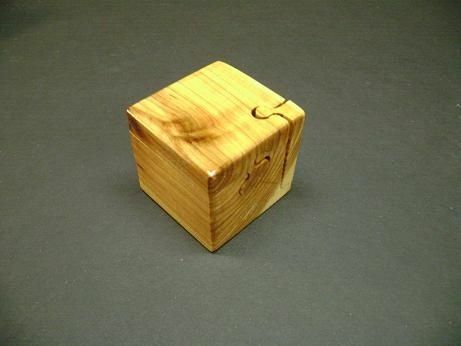 This is a mini 2"x2"x2" puzzle box. 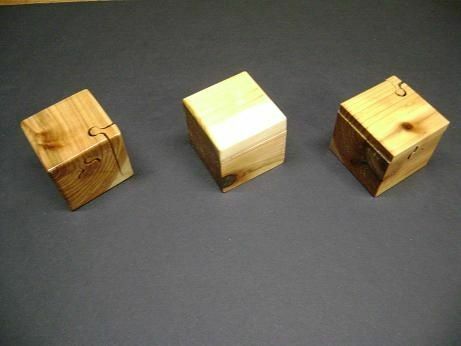 Can be made in a variety of woods, boxes shown are cedar. 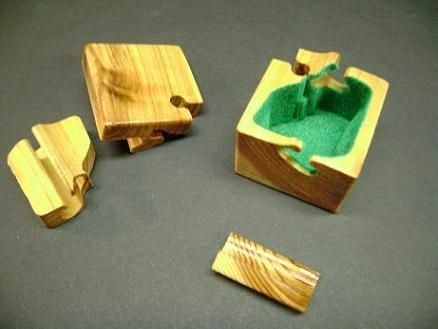 Can be used as a gift box for a piece or two of jewelry like rings or necklaces that can coil up or anything else you can fit in it. Interior lined with velvet flocking, a variety of colors available.